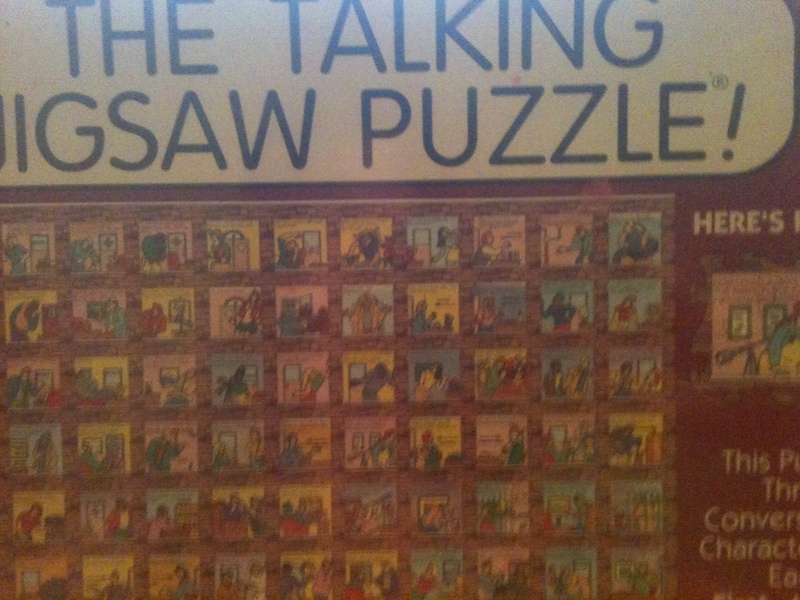 My sister-in-law called me the other day bubbling with excitement about the jigsaw puzzles she found for me. After I got them in my hot little paws, I’m bubbling with excitement as well. I am restraining myself from starting them now. I have to wait until June, my schedule will only allow it. If you’re a jigsaw puzzle lover like myself, these are going to make you start foaming at the mouth. If jigsaw puzzles make your eyes cross and your tongue loll, well then these would probably push you over the edge that you are precariously teetering on. 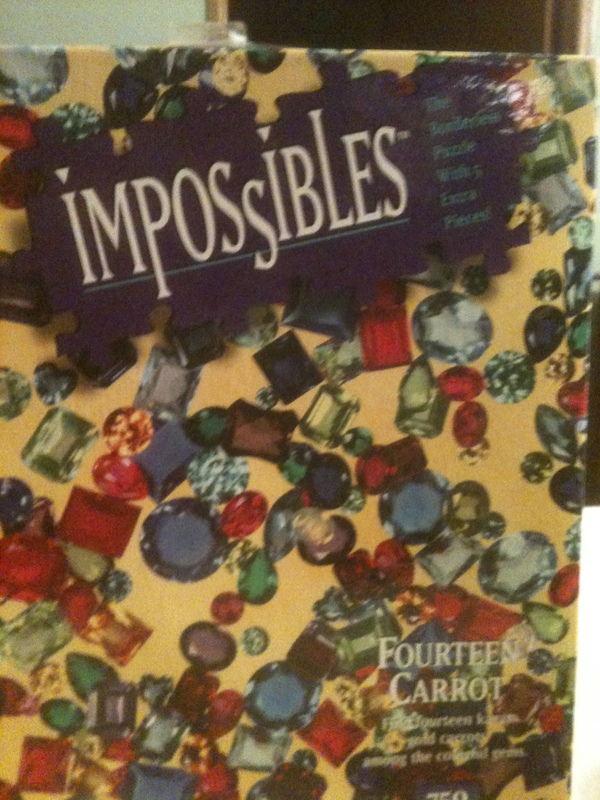 It’s called Impossibles for a reason. 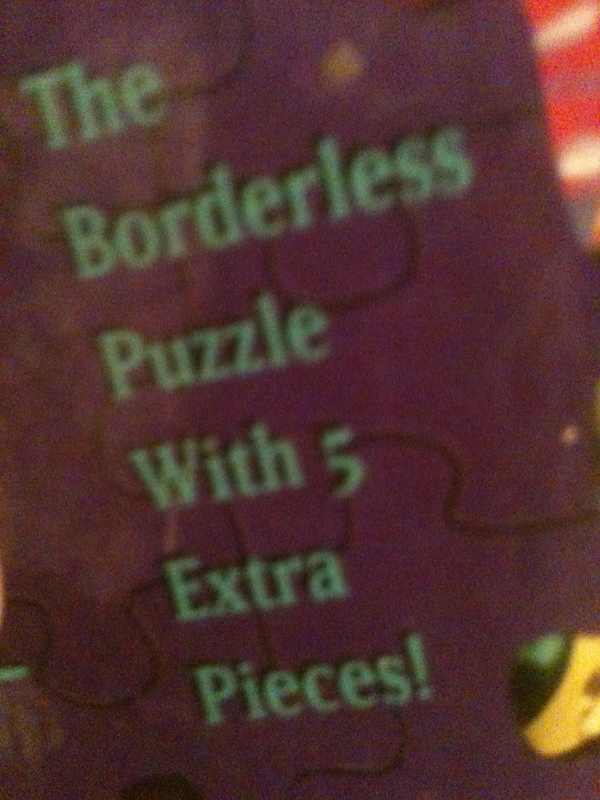 I can not wrap my mind around the idea of a borderless puzzle. 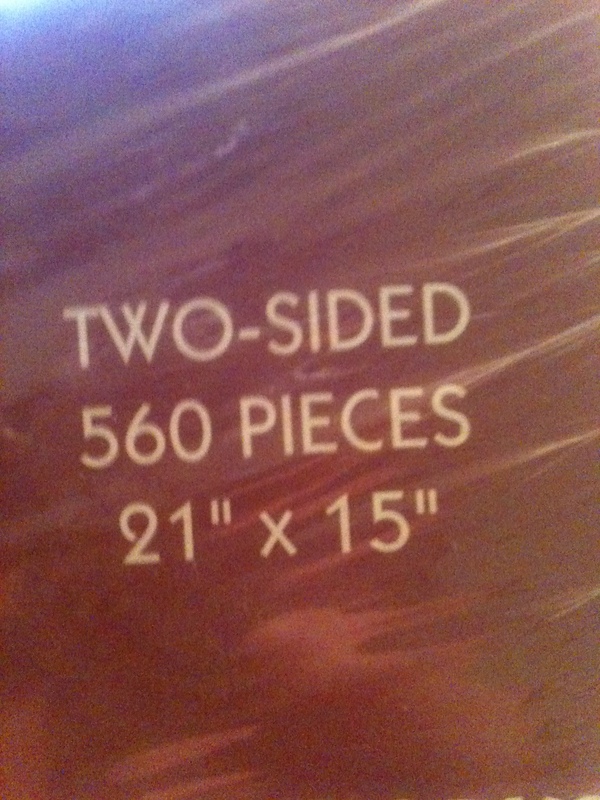 Then on opening the box, I discover another bag of puzzle pieces inside. Only that bag has no box. I’m not sure what happened to the box, but no box also means no picture. That won’t be hard at all do you think? Working a puzzle with no idea of what it is supposed to be. Easy Peasy, Japanesy. It nonchalantly claims “Any genius can do it”. But don’t bother looking at the picture on this one either, because it is assembled incorrectly on purpose. It also reports “there are millions of combinations but only one correct solution”. This puzzle contains pieces that are double-sided and talks to you giving you clues to further complete the puzzle. I wonder who thought to create these. I can’t wait to become one of them.